Running for more than 800 miles from Mexico to Oregon, California’s coastline has long been the inspiration for songs, movies, and books. With sandy beaches, blue skies, rugged cliffs, and verdant bluffs, it’s easy to see why this coast is so fascinating. And for 655 miles of that coastline, one of the most iconic highways in the country beckons road trippers from around the world to see it’s beauty firsthand. Built in 1934, the Pacific Coast Highway (PCH/HWY 1) stretches from north to south, highlighting the diversity of the Golden State. If the mesmerizing views aren’t enough, this coastal highway packs a variety of fun activities to keep you busy when you need to get out and stretch your legs. With everything from running, swimming, surfing, hiking and even lifestyle experiences, there is no shortage of adventure on this route. While you could write a book about all the amazing stops along Highway 1, here are a few of the best places to stop when traveling this route, starting south in Los Angeles and making your way up past San Francisco. There’s no better place to kick off your northbound drive up the California Coast than at the historic Santa Monica Pier. It opened to the public in 1909 and marks the end of what was the famous Route 66. 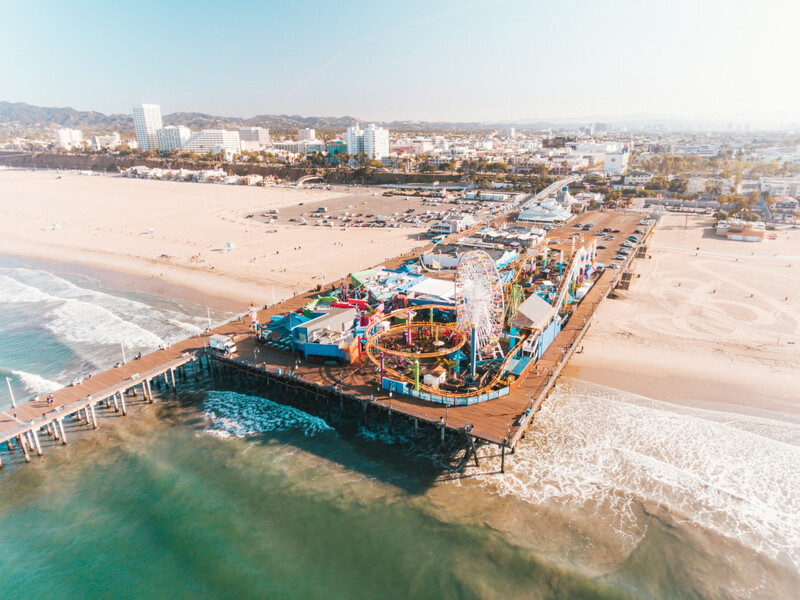 From the Ferris wheel and amusement park to the aquarium, the shops and golden sand beaches surrounding the pier, it’s an experience like none other. Take a walk on the sand down to Venice Beach for a 3-mile round-trip stroll with ample opportunities to shop, people watch, and enjoy the sandy shores. If you want to get out into the water, there are plenty of places to rent a surfboard for a few hours or for the whole day! The Malibu stretch of Hwy 1 is an impressive mix of beaches and bluffs with intricately-designed houses and azure ocean waters. Some have called El Matador State Beach one of the best-kept secrets in the area, and once you find a spot in the small parking lot (there are only about 20 spots! ), make your way down the steep stairs to the sand. From here, spend some time exploring the tide pools, sea caves, and unique rock arches. Not only is Morro Bay a quaint little coastal town, but it combines many aspects of Native history, ecology, and—of course—stunning ocean views. For hikers or trail runners looking to stop and stretch their legs, there is an abundance of trails to motivate you to get out and get moving. Home to the Rock'n Around the Pier Half Marathon you can pick and choose bits and pieces of this course, or make your way up popular trails like the Black Hill Trail, a 2.3-mile hike appropriate for all levels and with sweeping views of the bay, the estuary, and Morro Bay’s ancient volcano, Morro Rock. There truly something for everyone at Morro Bay State Park, so definitely add it to your list of stops. This stunning stretch of gorgeous views, windy roads, and iconic bridges is on just about every list of top highlights on Highway 1. And this coastal section offers up a little bit of everything. Big Sur is home to a few delightful hot springs but not many can rival the cliffside views of Esalen. Julia Pfeiffer Burns State Park has plenty of lovely trails, but two of the best are McWay Waterfall Trail and the walk along Pfeiffer Beach. Both routes are less than a mile round trip, but offer coastal views and a waterfall that cascades right onto the beach. As you head farther up the coast, stop by the Castle Rock viewpoint for one of the best vantage points of the impressive Bixby Creek Bridge. This area also offers trails like the strenuous 5-mile Cerro Hill Trail and the 11.2-mile North Old Coast Road Hike. Make sure to check the status of any closures when planning a trip through Big Sur, as they can change with weather and other instances. Carmel is home to dazzling white sand beaches and the impressive Point Lobos State Natural Reserve. This stunning and scenic coastal peninsula provides ample opportunities for hiking and trail running as well as plenty of opportunities to witness the variety of sea life in this area. Keep an eye out for seals, dolphins, and even whales! The 7.1-mile Point Lobos Loop Trail is the best way to see all of the flora and fauna that the reserve has to offer, while still having beachside views. As you continue north, stop by the Santa Cruz Wharf and take a nice little stroll to Lighthouse Field State Beach, home to the Santa Cruz Surfing Museum and the famous surf area called Steamer Lane. From the wharf, you can also take a 3.5-mile walk along West Cliff Drive, ending at the Monarch Grove in Natural Bridges State Beach. The area has been designated as Natural Preserve and is an important temporary home (from the end of fall through spring) as the butterflies migrate. This stretch of Santa Cruz coastline is also home to many charming state beaches, the San Lorenzo River, and is only a short walk from the shops and restaurants of eccentric downtown Santa Cruz. Experience a little bit of everything in this quintessential California surf town. Keep driving up Highway 1 and you’ll eventually see the lights of "The City by the Bay." Amidst the lively city entertainment, there are also a good amount of areas off of Highway 1 that offer up exciting outdoor experiences. Golden Gate Park is a graceful patch of green space, ponds, and trails that includes a Japanese tea garden, the San Francisco Botanical Garden, and the California Academy of Science. 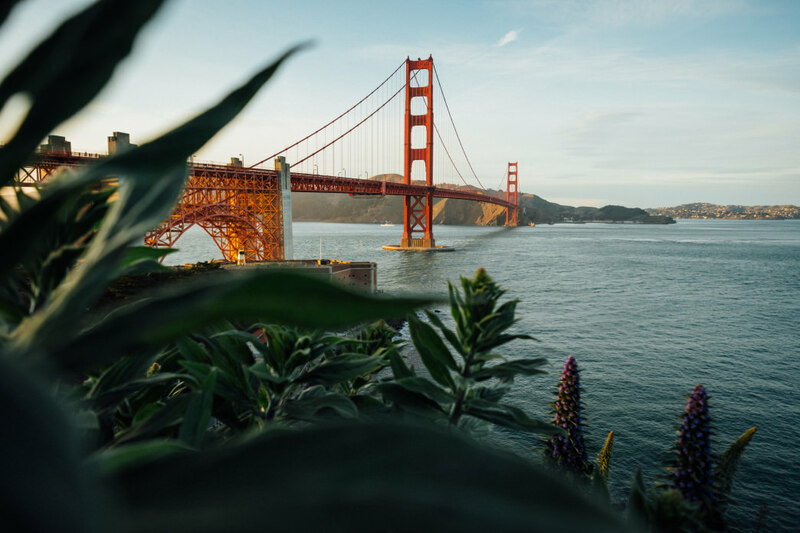 Head north from here and prepare to be wowed by the Golden Gate Bridge and the Presidio—a 1,500-acre park that was once a former military post. This area is a hub for outdoor recreation, picnics, and on a nice sunny day is a top-notch location to sit back and relax or take a 2-mile hike along the California Coastal Trail to see Crissy Field, a former army airfield. For a different view of the city, head across the Golden Gate Bridge to the Marin Headlands, a great place to catch the sunset over the Pacific Ocean and the city. 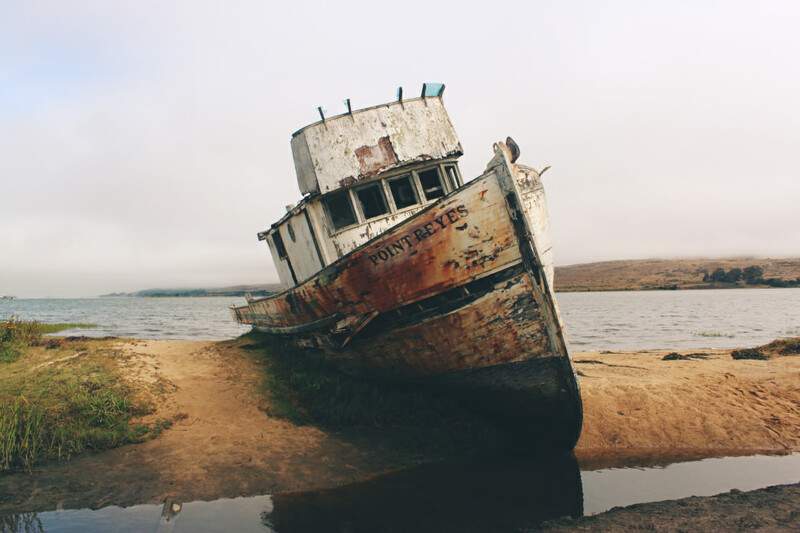 Even though Point Reyes National Seashore is the last stop on our list, there is nearly 200 more miles of state to explore, should you choose to go on. You are now officially in Northern California, home to the famous Redwoods and an abundance of densely tree-covered forests. While there are many highlights and features on this road the enchanting scenery, ecology, and wildlife at the Point Reyes National Seashore make this area a well-warranted stop off. 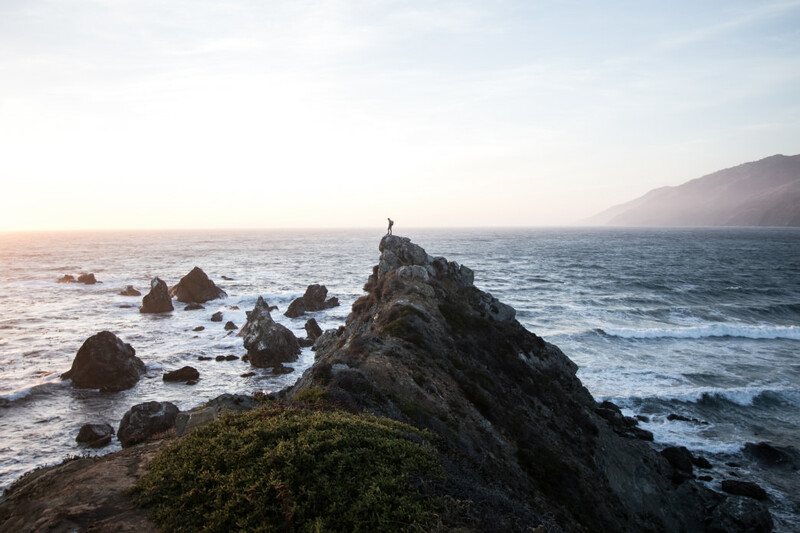 Walk to the Point Reyes Lighthouse, search for tule elk and elephant seal colonies, kayak Tomales Bay, or hike the 7.5-mile trail to Alamere Falls—whatever it is you choose, make sure to save some time to finish your trip with a few oysters. This area serves up some of the most delicious that California has to offer.